By Mike June 21, 2016 June 21, 2016 First Look, Press Release, Promote Yourself! Cartoon Network’s newest take on BEN 10, the animated phenomenon that had kids all over the world wanting to transform into their favorite alien, begins its global premiere this fall with Europe, the Middle East and AFRICA (EMEA), and the Asia-Pacific region (APAC), and will continue into 2017 with NORTH AMERICA and Latin America (LATAM). A new generation of fans can expect all the high-energy action and fantasy, along with the heart and humor that made it an international sensation when it originally premiered in 2006. Building on the highly successful franchise about kid hero Ben Tennyson, Ben 10 will introduce a re-imagined Ben, his cousin Gwen, and Grandpa Max, as they travel the country during summer vacation. 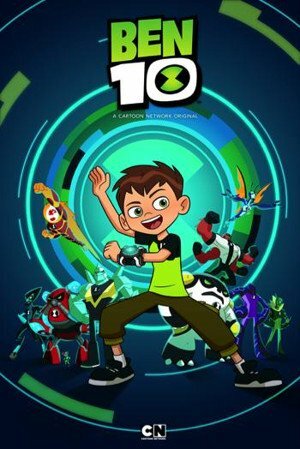 When Ben finds the Omnitrix, a mysterious watch that transforms him into 10 different friendly aliens, a world of extraterrestrial superpowers opens up to him. The series is produced by Cartoon Network Studios and created and executive produced by Man of Action Entertainment (Big Hero 6, Generator Rex), with John Fang (Mixels, Generator Rex) on board as supervising producer. The popularity of the show launched three additional animated series (Ben 10 Alien Force, Ben 10: Ultimate Alien, Ben 10: Omniverse); two animated movies (Ben 10: Secret of the Omnitrix, Ben 10: Destroy All Aliens); and two live-action movies (Ben 10: Race Against Time, Ben 10: Alien Swarm). A proven success for Cartoon Network, Ben 10 is an established sales sensation led by top-selling toys, interactive and home entertainment franchises generating more than $4.5 billion in global retail sales to date. Playmates Toys serves as the worldwide master toy partner for the new Ben 10 with a full line of toys based on the series and will include a range of figures, playsets, and role-play items set to launch at retail globally next fall. About Cartoon Network: Cartoon Network is Turner’s #1 U.S. ad-supported cable network with kids 6-11. Seen in 192 countries and over 370 million homes, it is an industry leader with a global offering of the best in award-winning animated entertainment for kids and families, known for putting its fans at the center of everything by applying creative thinking and innovation across multiple platforms. Home to the original hit series Adventure Time, Steven Universe, WE BARE BEARS and The Amazing World of Gumball, Cartoon Network also takes its responsibilities to its audience seriously by addressing issues affecting families with the Stop Bullying: Speak Upcampaign and bypromoting education and creative development through its commitment to STEAM enterprises and an integral involvement in Computer Science for All, the White House initiative empowering young people to generate skills to thrive in our digital world. Cartoon Network is part of Turner, a Time Warner company that creates and programs branded news, entertainment, animation and young adult multi-platform content for consumers around the world. Turner brands and businesses include CNN/U.S., HLN, CNNInternational and CNN.com, TBS, TNT, TCM, truTV, Cartoon Network, Boomerang, Adult Swim, Turner Sports, Bleacher Report, iStreamPlanet and ELEAGUE. By Mike June 14, 2016 June 14, 2016 First Look, Great Animation Clips! In Piper, “a hungry sandpiper hatchling discovers that finding food without mom’s help isn’t so easy.” What I love about this short film is that it takes the best of Pixar’s character-based animation and blends it with the narrow depth of field, with the almost photo-real cinematography emulating macro photography. Barillaro has been with Pixar for some time, acting as a supervising animator on Wall-E, Brave and The Incredibles. Piperis his directorial debut, and I hope we see more from him. I also hope that Disney Consumer Products Group doesn’t drop the ball again and not make some cute plushes based on this animated short, as I’m sure they’d sell well in Disney stores worldwide. Pixar and Disney’s animated shorts always seem to get the shaft from the merchandising departments. The score for the short was composed by Adrian Belew, who is best known for his work as a guitarist and vocalist of the progressive rock group King Crimson. His songs have appeared in a bunch of movies and television shows, but this is his first attempt at composing an original score. This came about as Barillaro used Belew’s compositions as temp music while he was developing the short film. Finding Dory director/Pixar brain trust member Andrew Stanton knew the musician and made the introduction. Dwayne Johnson stars as demi-god Moana in Disney’s new animated film Moana, that is slated for a Thanksgiving release this year. The official trailer of Walt Disney Studios’ latest animation film Moana is here and it features the voice of global superstar Dwayne Johnson in the role of Maui, a legendary demi-god. Moana is an animated 3D-musical-adventure-fantasy film based on South Pacific folklore. The film also features the voice of Auli’i Cravalho in the titular role of Moana. The film features computer-generated animation as well as traditional animation. Maui’s tattoos, in the film, as you will see in the trailer, are hand-drawn and traditionally animated. This is the second time that the Furious 7 actor will provide voice for an animated film. His earlier animated venture was the moderately successful Planet 51. Moana is set to release on November 23 this year, during Thanksgiving. By Mike May 19, 2016 May 19, 2016 First Look, Great Animation Clips! Forbes has an article about a fan based animated short based on the classic side scrolling game R-Type. Personally I never heard of it but the animation Paul Johnson did is pretty sweet! For anyone that grew up with the brilliant side scrolling shoot-em-up R-Type, then the recent work of animator Paul Johnson will fill your heart with joy. This new animated short for Mashed, which is a programme on Channel 4 in Britain, covers the scenario of a smack talking gamer that is sucked into the first level of R-Type to prove his skills. The short specifically covers the first level of the first R-Type, up until the level’s boss fight. From the enemy spawn patterns to the layout of the level, it’s all been brilliantly done. By Mike May 16, 2016 May 16, 2016 First Look, Great Animation Clips! This looks like it could be good. It seems to have a bit of an Archer vibe. Like Archer meets Conan meet Anchorman. Looking forward to a full episode! You?